Dava Sobel is a remarkable writer of scientific biography; she is a serviceable writer of drama. 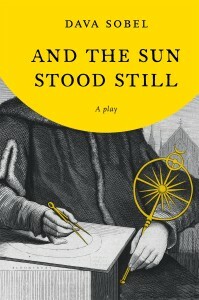 And the Sun Stood Still is a two-act play that captures the meeting between Nicolaus Copernicus and Georg Joachim Rheticus in 1539. It is a play of ideas rather than action in which truncated scenes flit from one location to another. It would take a remarkable set designer and director to stage the action and create a sense of continuity. Nevertheless, for the reader who has neither the time nor inclination to read a fuller account of this important meeting, And the Sun Stood Still will provide a more than satisfactory introduction. It works best, however, in its incarnation as a “centerpiece” for Sobel’s 2011 biography of Copernicus, A More Perfect Heaven, rather than a standalone piece. It is an enjoyable read, but its performance quality is questionable, and its drawing power is low. Rheticus, a young German mathematician, journeyed hundreds of miles to the diocese of Varmia in Northern Poland to study under Copernicus who had been working on his great work, On the Revolutions of the Celestial Spheres, for years. He wanted to learn from Copernicus and persuade him to publish his ground-breaking work. His heliocentric theory was known; however, Copernicus had not published since he apparently lacked the courage to risk the ridicule that was likely to arise. Ironically, little attention was paid to the 400-plus, highly mathematical, Latin treatise when it was published shortly after his death. There are two central conflicts in this short, two-act drama. Rheticus was Lutheran and Lutherans were banned from Varmia by the Bishop, Johann Dantiscus, who believed that a dead Lutheran was a good Lutheran. Rheticus was risking his life to be there. That the sun was the center of the universe was not accepted thought although it did not become controversial until Galileo supported the theory and the text was judged to be “false and contrary to Holy Scriptures” in 1616. Indeed, it was not accepted as fact by the Catholic Church until nearly 300 years later. The title of the drama reinforces the conflict between the Church and emerging scientific thought that countered Aristotelean Truth. The Book of Joshua, 10:12 says “Sun, stand thou still upon Gibeon, and thou, Moon, in the Valley of Ajalon.” Joshua was asking God to stop the sun so the Israelites would have more light to complete their slaughter of the Amorites. If Copernicus was correct, the sun was already stopped which was in direct conflict with this account in Joshua and directly opposed to the common belief that Earth was the center. Such a fact would stand centuries of Church dogma on end. 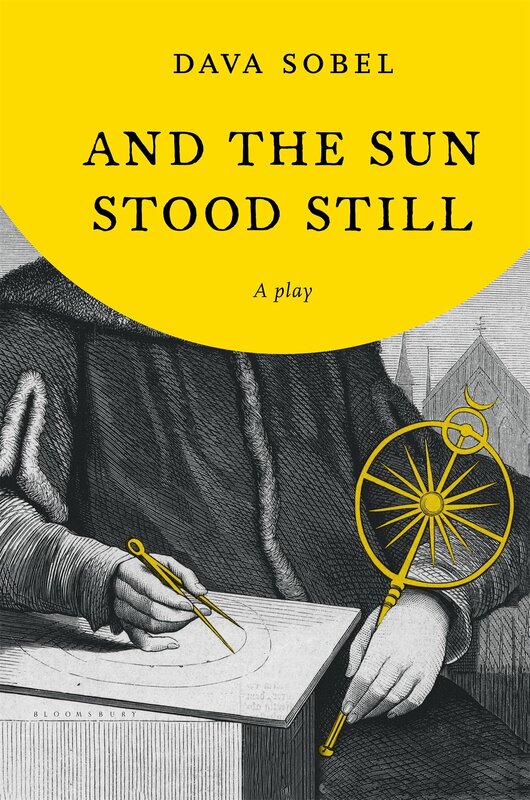 And the Sun Stood Still shows the skill and graceful, erudite writing one expects of Dava Sobel, but it does not rise to the dramatic level of, for example, Copenhagen, the Michael Frayn play that featured a 1941 meeting between physicists Niels Bohr and Werner Heisenberg. Sobel’s imagined dialogue includes many actual quotations from the works of the four published characters. Neither Copernicus nor Rheticus ever wrote an account of their historic meeting. After 40 years of seeing an average of seven theatre performances each year, this does not strike me as a play I’d care to see.